Dendritic and T-cells. Coloured Scanning Electron Micrograph (SEM) of two types of protective cell of the human immune system. A large dendritic or Langerhans cell is seen (at lower right) with a T cell attached (at upper left). Dendritic cells are found in the skin. They recognise foreign proteins (antigens) and ingest them into cytoplasmic Birbeck granules. Antigens are then "processed" and secreted out of the cell, to be dealt with by other immune cells. 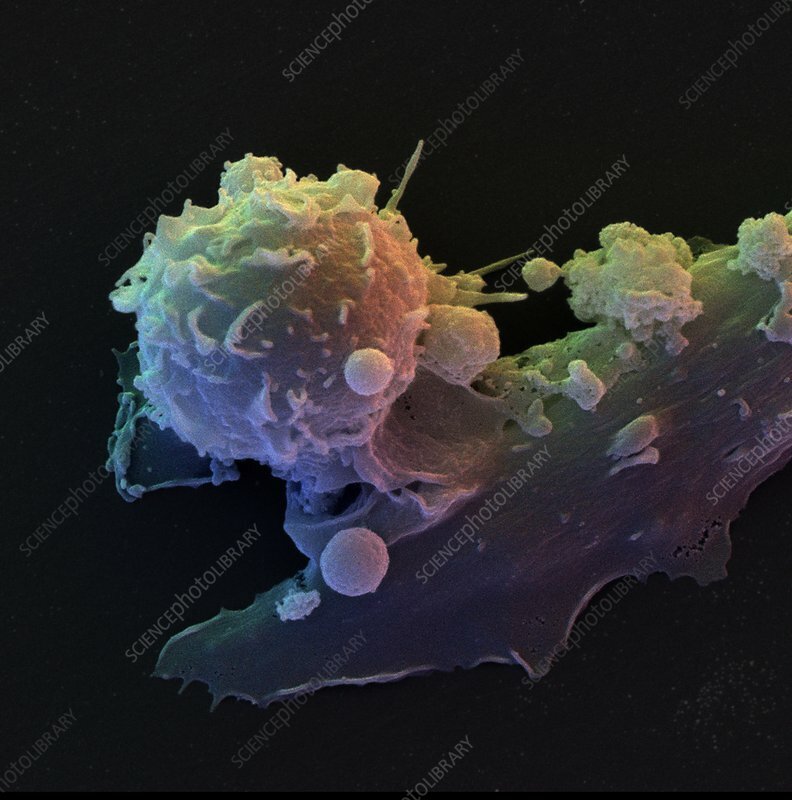 T- cells are a type of white blood cell, known as lymphocytes which seek out and destroy invading microorganisms. Magnification: x4,706 at 6x6cm size. Magnification: x7,100 at 4x4 inch size.